Diabetes is a chronic disorder which occurs when the pancreas does not secrete enough insulin or when the cells of the body become resistant to insulin. In either case, the blood sugar cannot get into the cells for storage, which eventually leads to serious complications. There are some diabetes foods that have been shown to produce positive effects on blood sugar control. When it comes to diabetics eating fruits, there is a lot of confusion. So, what fruits are good for diabetics? While a diabetic person can enjoy the same meal as his family, including fruits, he needs to remember that moderation is the key to managing blood sugar levels. Whether you love blueberries, strawberries, or any other type of berry, go ahead and indulge. Berries are loaded with antioxidants, vitamins, and fiber. Three-quarters of a cup of fresh blueberries 62 calories and 16 grams of carbohydrates. 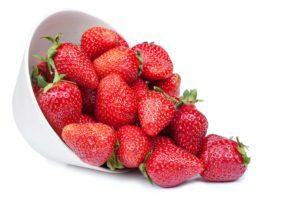 So, berries make it to the list of what fruits are good for diabetics. Diabetics should feel free to eat an apple, which has 77 calories and 21 grams carbs. Apples are rich in fibre and a good source of vitamin C. In fact, apples along with blueberries and grapes are beneficial for reducing the risk of type 2 diabetes. When it comes to glucose metabolism, citrus fruits like oranges not only slow down glucose levels, but also inhibit the movement or transport of glucose through the intestines and liver. Ideally, you must eat the whole fruits instead of drinking orange juice. 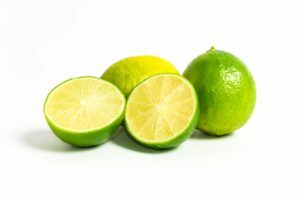 Commonly known as ‘mosambi’, sweet lime is a rich source of vitamin C and potassium. One serving comprises just 0.3 gram of fat and 43 calories. So, aren’t they a great addition to your list of what fruits are good for diabetics? The natural antioxidants in papaya make it a great choice for diabetics. A diabetic person is prone to many health problems caused by irregular blood sugar levels. Hence, papaya makes it to the list of what fruits are good for diabetics. Pears are an excellent source of fibre as well as vitamin K. So, they should be part of what fruits are good for diabetics. 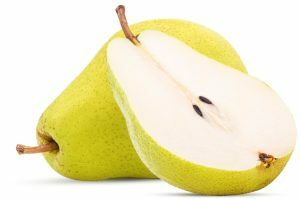 Have pears with the peel on and you will meet almost 20% of your daily fibre requirement. Fruits are high in natural sugars. Therefore, you need to restrict your fruit intake to no more than 2-3 servings a day. Now that you know which fruits are safe to consume, let’s talk about the fruits you need to avoid. Here is a list of the worst fruits for diabetics. The amount of starch and sugar content present in a banana depends upon the ripeness of the banana. Therefore, a large ripe banana can contain a large amount of starch and sugar, making it one of the worst fruits for diabetics to consume. These juicy fruits are refreshing and high in calcium. However, lychees also have a high sugar content, making them a dangerous fruit for diabetics to consume. One single cup of figs can contain anything around 27 grams of sugar, that is almost equivalent to a medium-sized candy bar. Mangoes are a sweet and delicious summer fruit. However, they are high GI fruits and so a diabetic must avoid them. While jackfruit has low to medium GI index. Hence, eating too many portions of jackfruits can cause sudden rise in blood sugar levels. The above-mentioned fruits are the worst fruits for diabetics because have a high glycemic index. So, consuming them can cause dangerous spikes in blood sugar levels and lead to serious health complications. Before making any major dietary change, kindly consult your doctor. You can also speak to Health Total experts for a personalised diet plan for diabetics. Call 1800-266-0607 to book an appointment and get first free consultation.